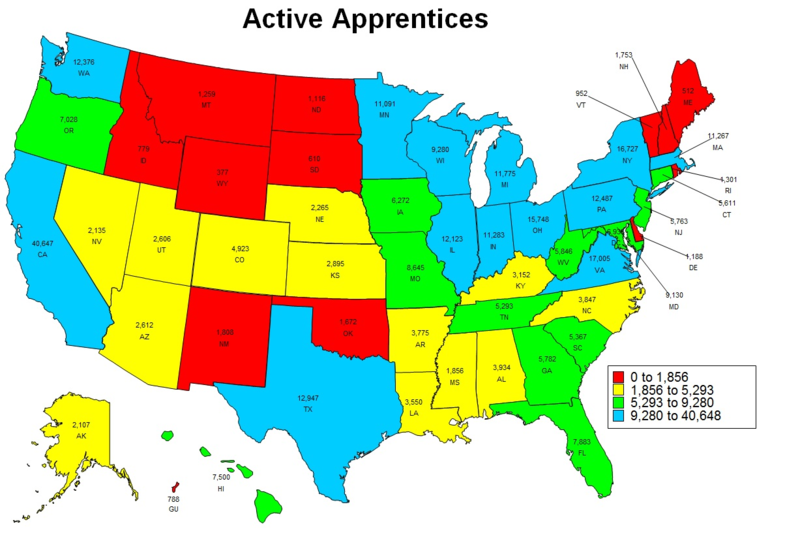 Nationwide, there are approximately 448,000 apprentices currently obtaining the skills they need to succeed while earning the wages they need to build financial security. 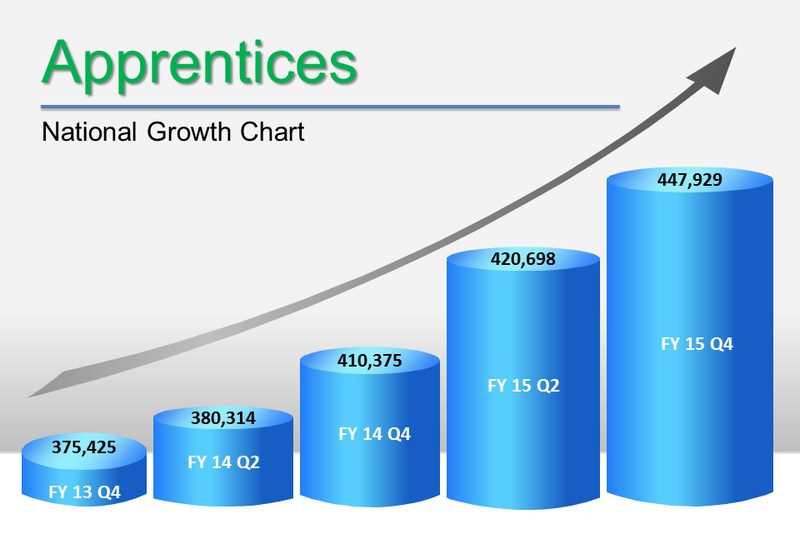 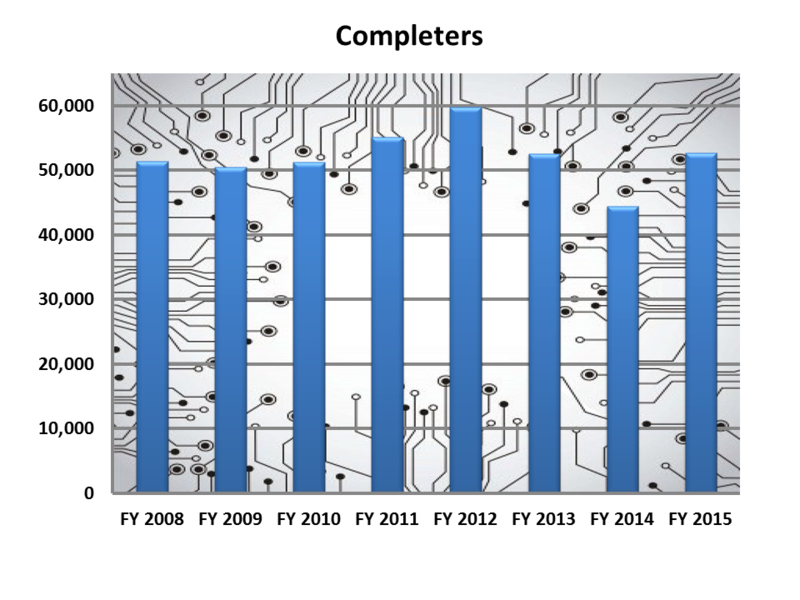 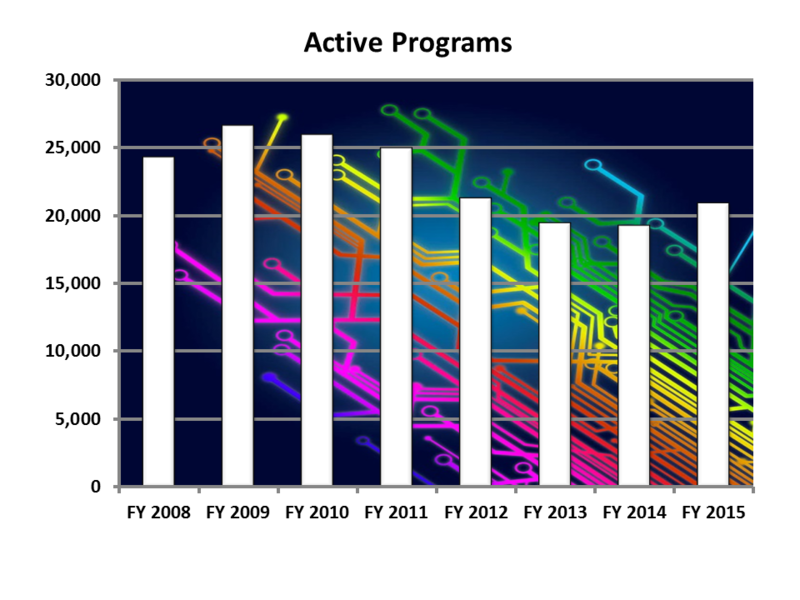 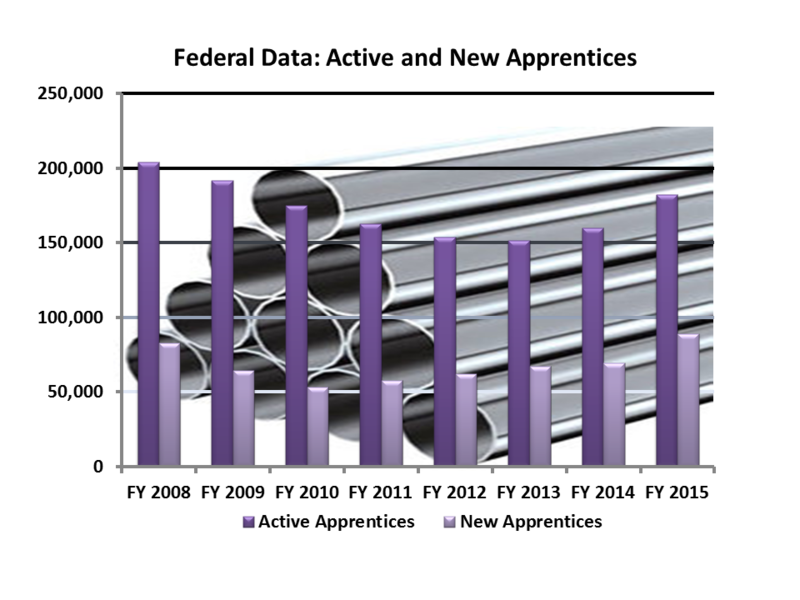 In FY 2015, over 52,500 participants graduated from the apprenticeship system. 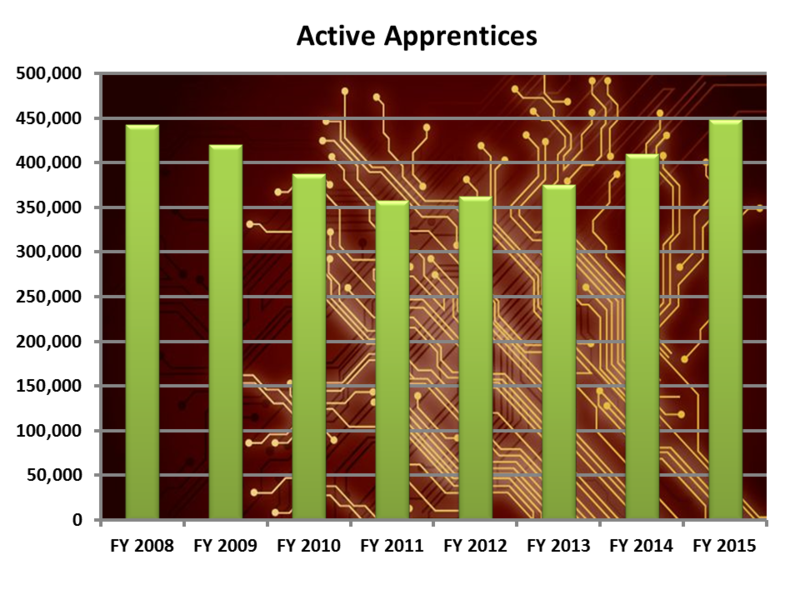 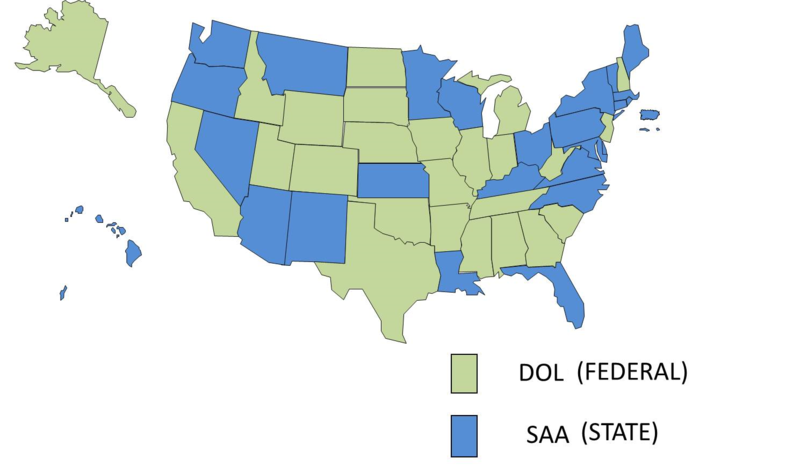 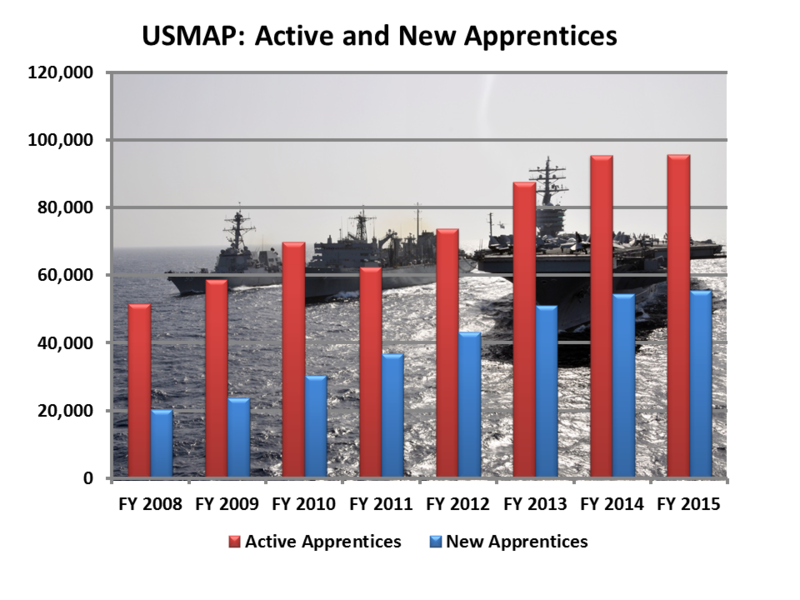 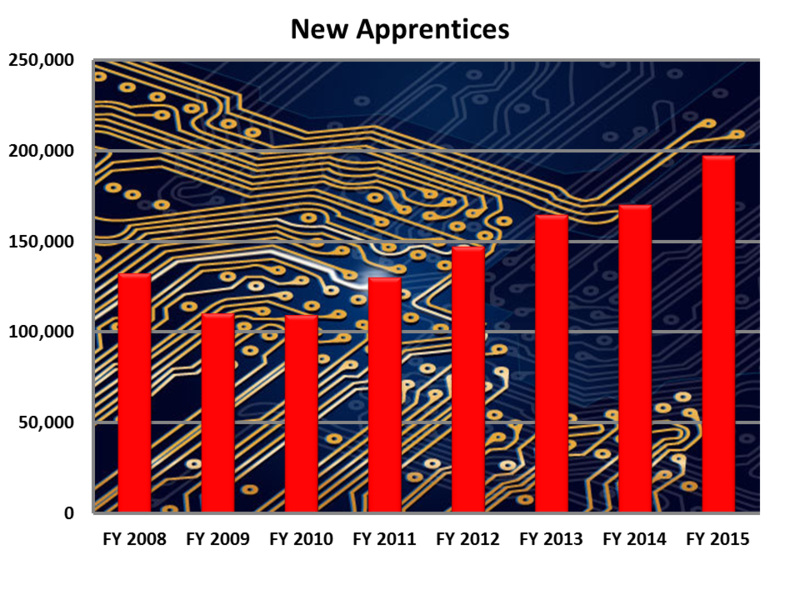 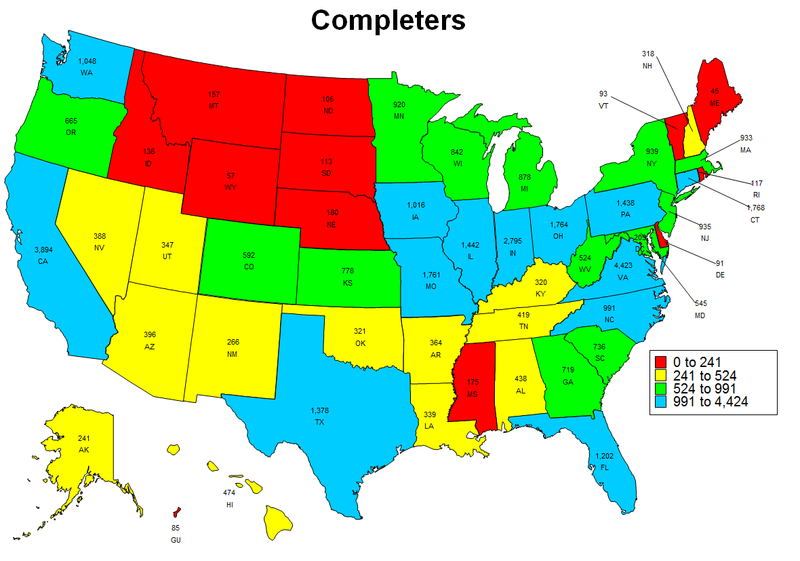 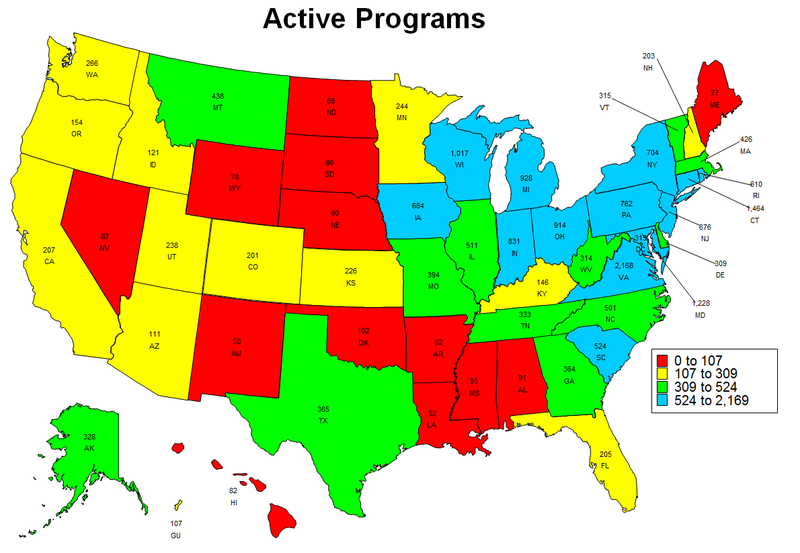 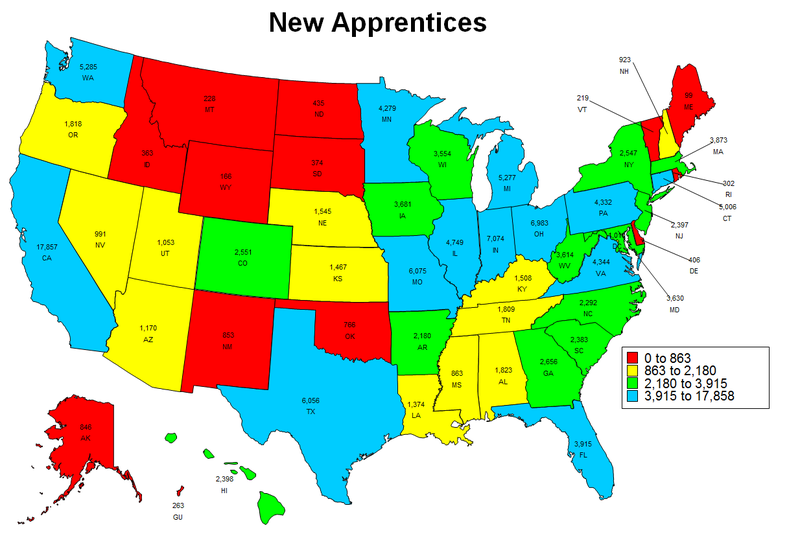 In FY 2015, more than 197,500 individuals nationwide entered the apprenticeship system.